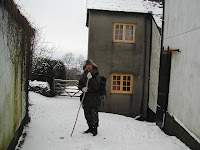 Jon had been for a lovely walk in the snow, all the fires were lit and the curry was simmering on the range. The animals were fed and full and snugged up for the night. 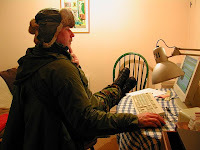 ...when he came across some very interesting blogs and noticed that many of them were members of Woodlife - a wildlife, tracking and bushcraft network. So he took a closer look. Before he knew it he had signed up too. And Wow! what a warm welcome he received. Within minutes of joining he had heard from members who were all very positive. Why don't you have a look too?